The Auschwitz. Not Long Ago. Not Far Away. exhibition has received over 35,000 visitors in its first two weeks in Arte Canal Exhibition Center (Madrid, Spain), where it will be displayed until June 17. 56,000 people have already purchased their tickets to attend the exhibition and become witnesses to the horror that more than 1,300,000 children, women and men were subjected to behind the barbed wire of the largest German Nazi camp, between 1940 and 1945. In addition, more than 17,000 students have already made a reservation to visit the exhibition with their schools. The Auschwitz exhibition and Canal de Isabel II give the Spanish lower and upper secondary education students the chance to visit the exhibition for free. 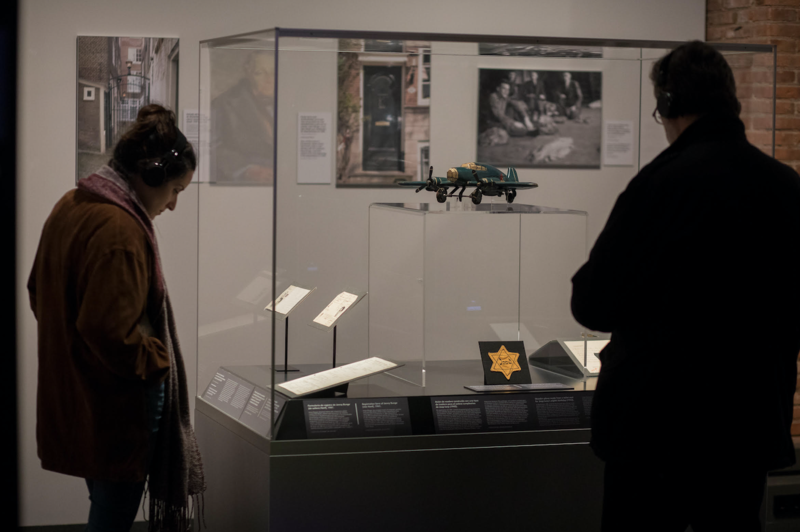 The exhibition has an estimated duration of 2-3 hours and shows over a space of 2,500 square meters more than 600 objects from Auschwitz and extraordinary audio-visual and photographic material. It is the first time that the vast majority of these objects and documents have been shown to the public, after being submitted to an exhaustive conservation process. Auschwitz Not Long Ago. Not Far Away. has been co-produced by Musealia and the Auschwitz-Birkenau State Museum. After visiting Madrid, it will travel through 13 cities in Europe and America. The aim of this emotional and rigorous journey through one of the darkest chapters of the history of humanity is to shake the conscience of the world with a clear goal: to know how such a place could come to exist and serve as a universal warning of the dangers of hatred and intolerance.